We were all crammed into the elegant, but smallish, office looking at molds of teeth. X-rays of teeth. Pictures of teeth. The orthodontist was giving me information about my oldest son's overbite and told me one side of his teeth lined up, but uh-oh the other side didn't. How is that even possible? I listened carefully. But all the technical bite information and the cost breakdown was making my mind a little foggy and my heart a little jumpy. It was all kinds of overwhelming. It felt like it was just a few years ago, it was me in Dr. Seabold's chair praying that it would be the day my braces came off. How could it have been almost 22 years ago? What would I say to my 16-year-old self? Wear your retainer! My teeth were a mess growing up. A bad car accident and not wearing a seat belt left me with a broken jaw at age 5 and very complicated bite issues for the next 12 years. The day I got my braces off is in the top ten days of my life. I felt free---free from feeling insecure about my crooked teeth and hideous bite, free from getting food caught in my braces. It was a good day. I felt almost glamorous with my new straight, white teeth, like a girl in a toothpaste commercial. I smiled for a week straight, which is a big deal for a teenager. 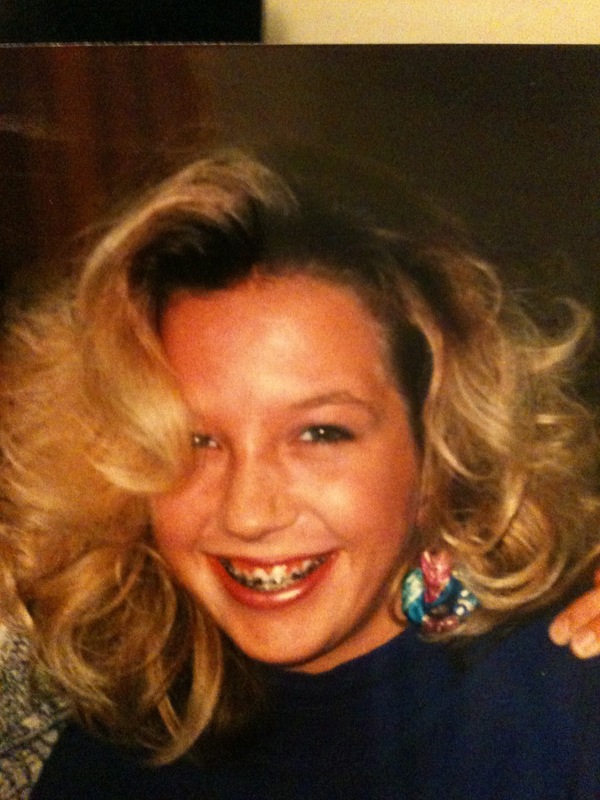 But just like a teenage girl, I was a little too into other teenage girl stuff (like watching 90210 and writing in my diary) to take care of my teeth. Wear my retainer? Um, no thank you. Floss? Didn't I already mention 90210 was on? The years went by fast and honestly my teeth habits didn't really get any better. I would floss right before my dentist appointment, if I remembered to make an appointment. Not until the last few years, not until I began teaching my own children to brush and floss and take care of their teeth, did I start paying attention to my own. Yes, not being a hypocrite is a very important chapter in the parenting manual. Be an example, a role model, it reads. So, I started brushing better and flossing more. The last time I was at the dentist they talked to me about my gums receding. They told me it's irreversible and usually related to age. "Are you telling me I'm long in the tooth?," I asked after rinsing my mouth. "Like the phrase that means you're old?" Being "long in the tooth" means I must have gained some wisdom along the way. Like the importance of taking care of my teeth. Like knowing when a floss is really, really good. I've actually become a bit of a floss and tooth paste expert or connoisseur if you will. 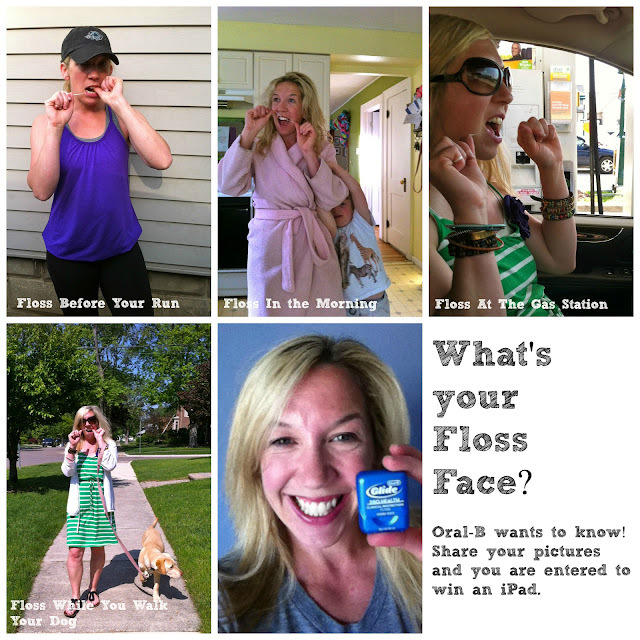 That is why I jumped at the opportunity to share information about the hands-down best floss out there--Oral-B® Glide. Their tag line should be "this floss will make you happy" because it just does. This isn't your mom's flimsy, skinny little floss. Oral-B® Glide is serious floss that makes you feel like you are really making a difference every time you use it. It has been clinically proven to help reverse gingivitis. It also protects against cavities and bad breath. Sitting with my four children looking at all the teeth brought it all back. The years I wished I'd flossed and brushed better and worn my retainer. My kids were wide-eyed and mesmerized with the teeth molds and the fancy braces. "Any questions?" the orthodontist asked. "No, I can't think of any right now," I said my mind racing. "Yes, in the back," he replied, pointing behind me. Apparently, my daughter had a question. She had her hand raised high up in the air waiting patiently to be called on. "So, does he need braces or what?" she wanted a bottom line for her brother. Bottom line is yes, he needs braces and we need to figure out how to pay for it. Bottom line is that when you know better, you do better. Bottom line is taking care of your teeth is important. And here's the thing about taking care of teeth and flossing in particular, you can do it anywhere. There's no shame in flossing. Do it in your car, in your back yard, at the restaurant (preferably in the restroom, but whatever). With each floss you are taking care of yourself. You are a role model. Oral-B® is hosting a Floss Face Contest. Take a picture of yourself flossing (I dare you to take the picture at the restaurant) and post it here bit.ly/FlossFace. Every first time entrant will receive a tote bag with Glide products (while supplies last) and every two weeks from now until July 7th, someone will win an iPad. 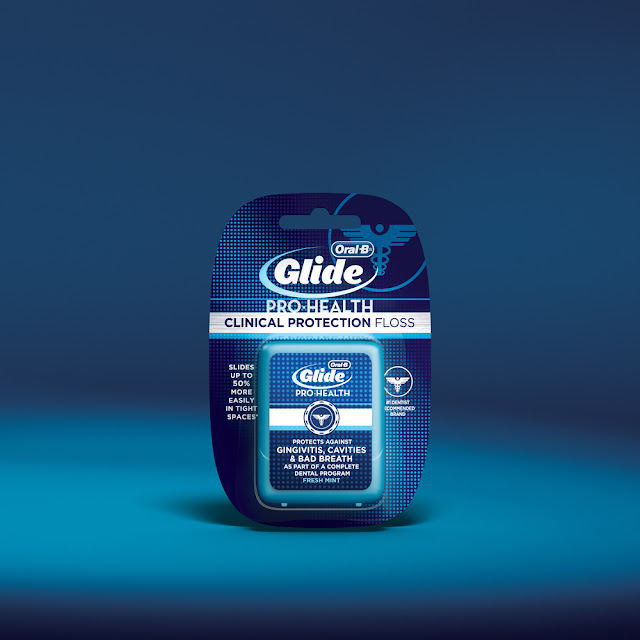 To get YOU started I'm giving away one package of six Oral-B® Glide flosses. Leave a comment here or on my Facebook page and a winner will be randomly chosen in one week from today. Now go take care of your teeth. May the floss be with you. Ugh, sorry, I had to it was right there and too good. I participated in this sponsored campaign for One2One Network. I received monetary compensation and product to facilitate my post, but all opinions stated are my own. I. Hate. Flossing. But, last time I was at the dentist (and I was totally honest when they asked if I had been flossing. I just said no), he said that if I don't floss, a spot that is "not really anything" right now, will turn into "something that needs to be fixed." So, I've been trying. I really, really have. I'm good to floss 3-4 times a week these days. But it's better than zero, right?! I am not really a big fan of flossing. In my busy schedules, it seems that I don’t have time to do it. But this post of yours seems a wakeup call. It made me realize the importance of flossing. Thanks a lot for sharing.